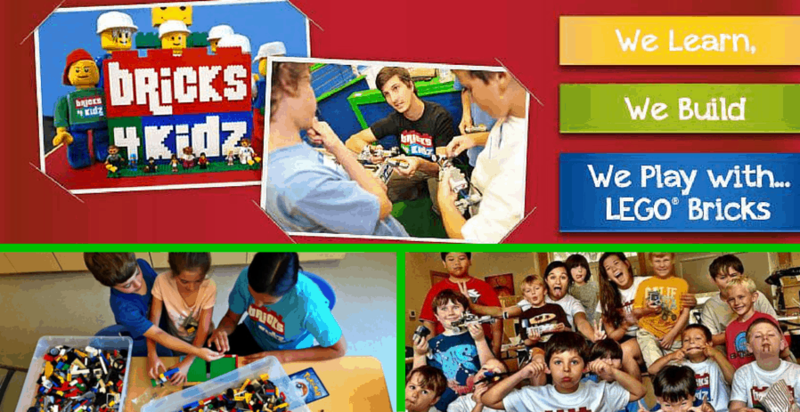 The Bricks 4 Kidz franchise offers Lego-brick building activities designed by engineers and architects in after-school classes, preschool classes, summer camps and birthday parties. In our Q&A with Tommy Heninger, owner of Jacksonville Beach Bricks 4 Kidz, he talks about some of the challenges he faced early on, what he would do differently if he had the chance to do it all over, and he shares his secrets to success. How long have you owned your Bricks 4 Kidz franchise? My family owned it first. During the school year I will answer emails and prepare for future events (birthdays, field trips, camps, etc.). Starting at 2-3pm every day I will either teach or meet my teachers at each of the different schools that we are teaching at for the day. Often we are holding classes at multiple schools so I will pick one or two schools or classes to check on during this time. I make sure the kids are having fun, the parents are happy, and the school is happy. During the summer, we have camps going on from 9am-4pm as well as field trips going at other locations in the area. I have to make sure that all of my counselors have the supplies they need for the camps, as well as the additional parts, instructions, LEGO bricks needed for our in-house field trips. What were some of the challenges you faced when starting your Bricks 4 Kidz franchise? The biggest challenge is getting the word out which is normal for any startup. People are rarely searching for your type of business but if they hear about you or read about you, it will get them talking. Hard work combined with analyzing my failures and successes. If something does not work, then I adjust and try again. People that fail with their business make one attempt and then give up. I am not afraid of failing and trying again after readjusting my approach to fit with my customers’ needs. Fortunately, our business model can be adapted to fit with any area so I did not need to reinvent anything. I just needed to refocus on specific concepts. Nothing. As I said, the mistakes forced me to adjust my strategy to find what works. At least five times larger. Find something that you are passionate about, and making the business succeed will come on its own. Absolutely. What we provide is something that both kids and adults love. People love LEGOs and it is a very easy sell to parents. In addition, we have so many different avenues in which we can generate revenue. We have birthday parties, pre-school curriculum, elementary field trips and enrichment programs, Jr. robotics, advanced robotics, stop motion animation and many themed camps. You could have an entire business focusing on just one of these programs and we get to combine them all to create a business that is as large as we want it to be. Our founder is also constantly creating new curriculum to keep up with current trends. We hear lots of praise from parents about how their kids loved our program. When I train my teachers for the summer, I tell them that I want the kids to have so much fun that when they leave, they cry because they don’t want to go. My favorite thing that I hear from parents, is that their child went home and brought out their bin of LEGO bricks to play with for the first time in years. They have all of these great new ideas and are excited to keep building new things. Where can people find out more about the Bricks 4 Kidz franchise opportunities? Where can people find Bricks 4 Kidz on social media?